I am so, so excited that its December! Christmas time (I’ve had my tree up for 2 weeks), hot chocolate, Christmas music, Christmas movies, shopping, beautiful lights but most importantly its the time of the birth of our heavenly Father! I just love this time a year! I have so much to share. First up, I’m linking up with Farley for this months currently! When I went to save the blank photo, it showed that I already had a “Decembercurrently” file. I went back and looked at last years and it was my first currently to do! I guess you could say this is my “1 year currently anniversary”! Cheese ball, I know! 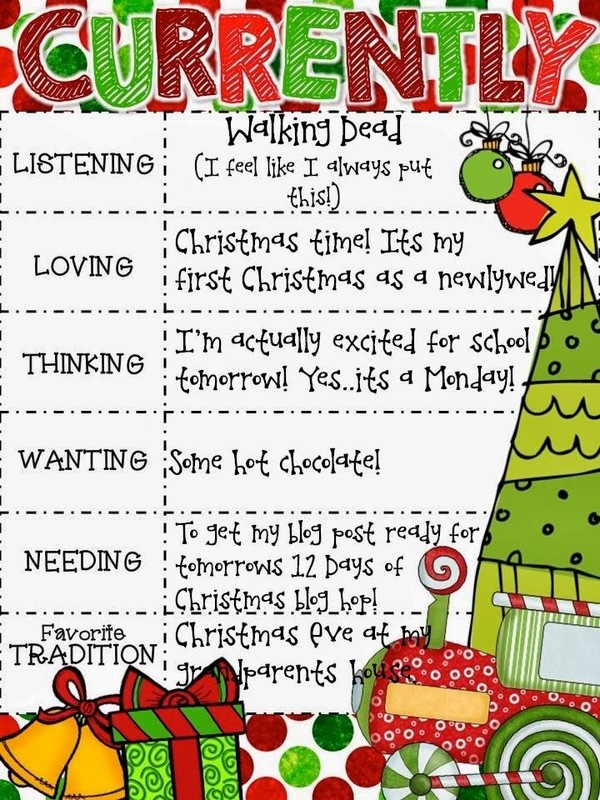 Listening: I feel like I put the Walking Dead every month! I missed last weeks episode so I’m watching it now before the new one comes on at 8. This is the Mr. and I new favorite obsession! Loving: As I mentioned before…I LOVE Christmas! This will be mine and Jared’s first Christmas together as Mr. and Mrs! We actually got engaged on the 14th of Dec last year so that makes it even more special. I loved decorating our first tree together and getting our house ready. We plan to put lights on the house this weekend. If he wasn’t out of town for work I would already have them up! Thinking: I went up to the school today and put up our classroom tree and got my elf ready for tomorrow! This is my first year doing “elf on the shelf” and I’m more than a little excited about it! 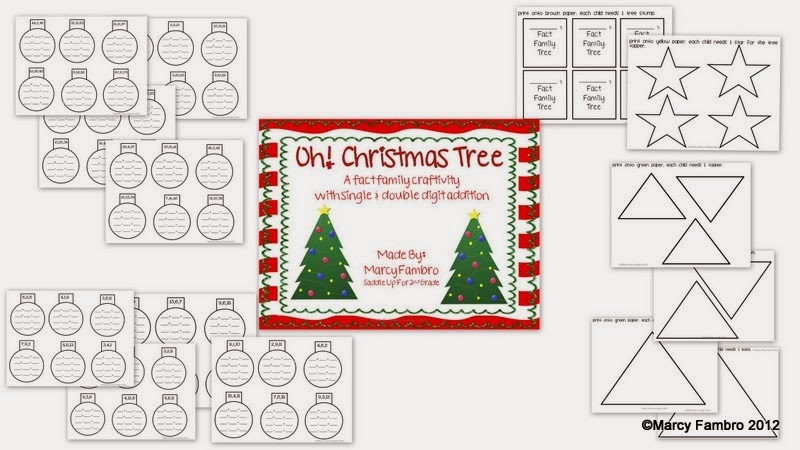 We will decorate our tree tomorrow, start on our Christmas calendars and begin our Christmas around the World unit! EEEKKKK!!!! Wanting: Some hot chocolate! It sounds good right?!? 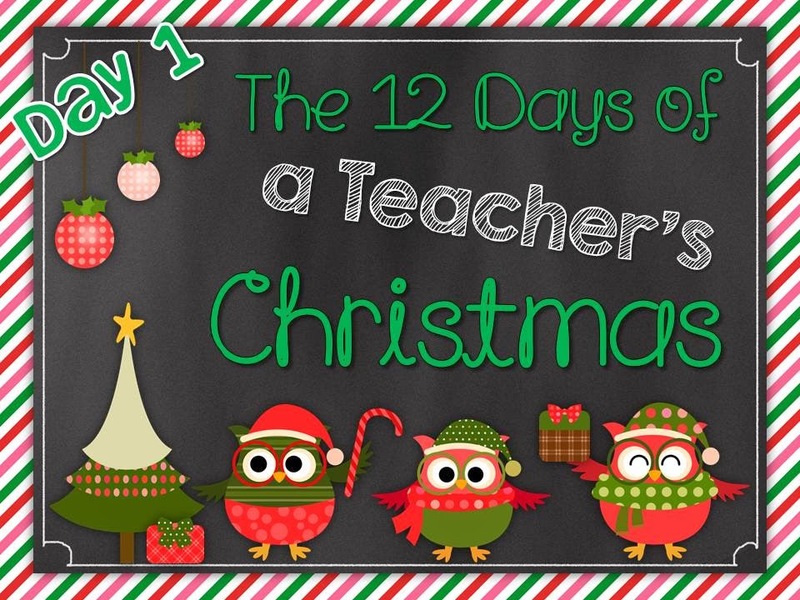 Needing: I am participating in “The 12 Days of a Teachers Christmas” blog hop! My post is day 2 and I need to finish it up! Myself, along with some other fabulous bloggers are getting together to bring you 12 days of FREEBIES in addition to several chances to win some fabulous prizes. It started today! Head on over to Teachin’ Little Texans for Day 1! 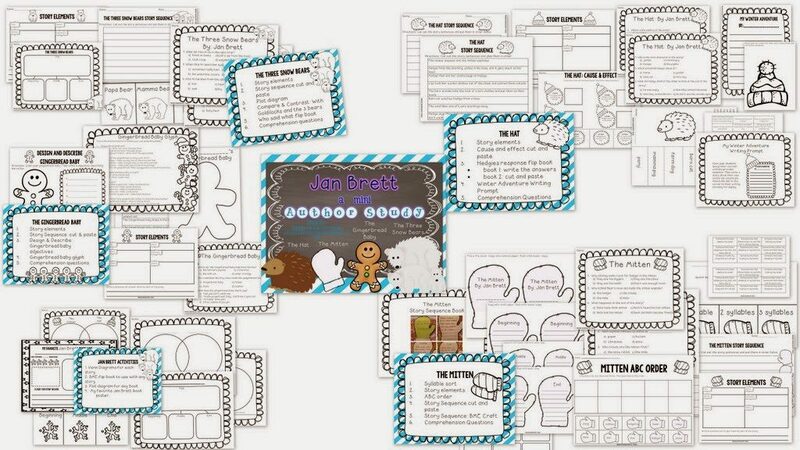 Check back tomorrow, here on my blog for day 2! And I’m sure you’ve heard the big news! 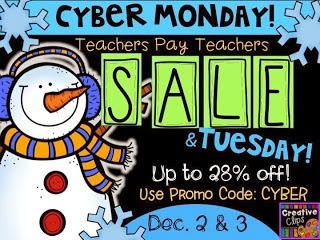 The TeachersPayTeachers Cyber Monday sale starts tomorrow! My store will be 20% off December 2nd and 3rd! You can earn up to 28% off when you use the code CYBER! Don’t forget to leave feedback on your previously purchase items to earn credits toward your big purchase! 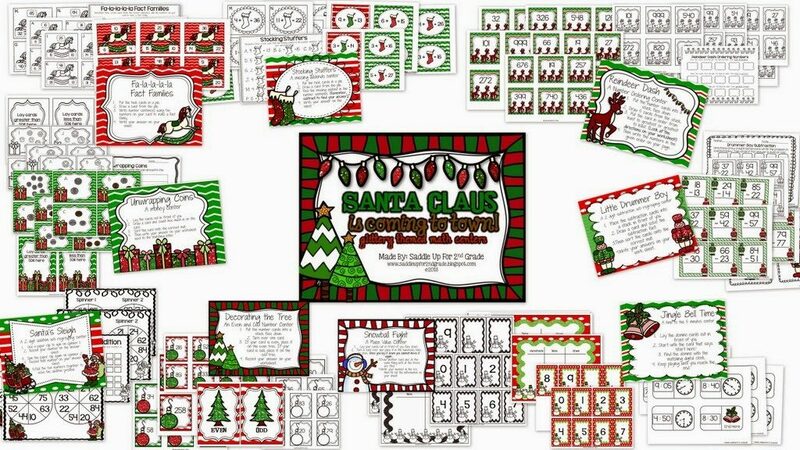 Here are some of my holiday products you can snag for a great price! 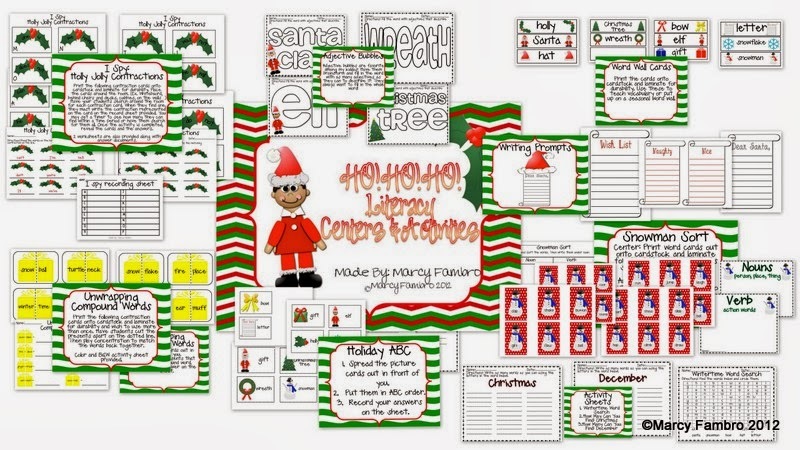 Santa Claus is Coming to Town: Glittery themed math centers! My wish list is continuing to grow as my cart is getting fuller and fuller! Happy shopping everyone!